THE case of businessman and Intratrek (Private) Limited director Wicknell Chivayo has taken a new twist with the prosecution seeking to amend the charges against him and his company. This comes in the wake of a High Court ruling recently stating that the charges against Chivayo were weak to sustain a conviction. 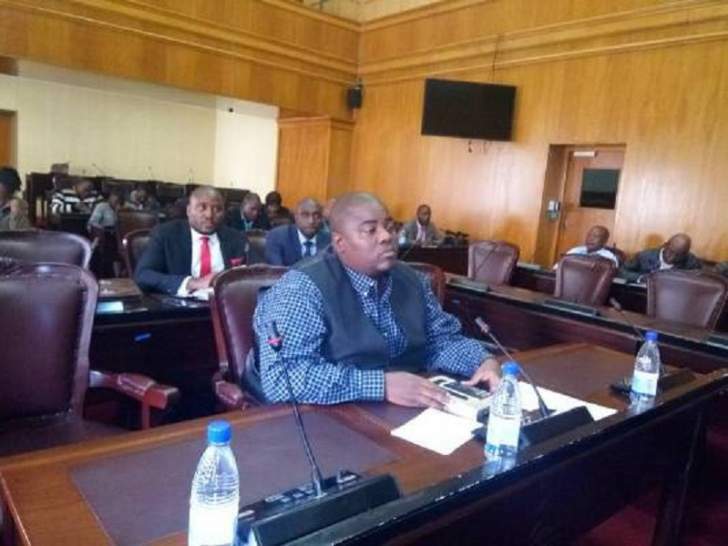 Chivayo is accused of swindling the Zimbabwe Power Company (ZPC) of over $5 million, money laundering and violating Exchange Control Regulations. In his ruling, High Court judge, Justice Benjamin Chikowero, ruled that the case was more of a civil dispute between Intratrek and ZPC. Justice Chikowero also noted that there was nothing on record to show that the prosecution had a strong case against Chivayo. Representing the State Mr Zivanai Macharaga and Mrs Venaranda Munyoro yesterday gave notice to amend the charges. The State, however, informally furnished the defence with the draft of the amended charges and is yet to formally amend them before the court. The defence argued that just like the old charges, the amended charges do not disclose an offence and the defence wants all the charges to be dropped and Chivayo to be acquitted. The defence intends to apply for exception to all the charges in terms of Section 171 of the Criminal Procedure and Evidence Act. Defence lawyer Advocate Lewis Uriri instructed by Mr Wilson Manase then served the State with an application for exception, which they said will stand if the State amends its charges. The prosecution said it needed time to go through the voluminous application before it comes up with a decision on whether or not to amend the charges. "Your Worship, we have intentions to amend the charges," Mr Macharaga said. "However, we are seeking for a postponement, we need to go through the document produced by the defence before we find which way to go." In response, Adv Uriri said once his client has pleaded, the State cannot amend the charges. He also said that if the State does not take notice of their concerns raised in the said application and does not amend the charges, his client would plead and except to the charge. In the application for exception which the defence intends to rely on, Adv Uriri said the facts as alleged in the charge and the outline of the State case do not disclose an offence. "All the charges emanate from a public procurement contract being an Engineering, Procurement and Construction (EPC) contract and are said to have taken place in the implementation of the said contract," he said. "The EPC is regulated by the procurement act and has its own terms of enforcement and remedies for conduct that does not comply therewith as well as the overriding statutory provisions. "The criminal law is not a procedure for the enforcement or the remedy of alleged breach of contract. There are specific measures provided for this. It has been held that the State does not need the help of the criminal law to relate to the enforcement and remedy of public contracts. "The ZPC is a procurement entity regulated by the procurement regime and wholly-owned by the State in its commercial activity." Regional magistrate Mrs Estere Chivasa remanded the matter to October 23. This is the fourth time that Chivayo's trial has been postponed for various reasons.